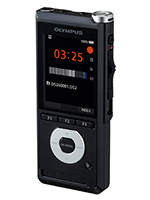 Introducing the all new Olympus DS-Range of devices. Professional, streamlined dictation made seamless and stress free. 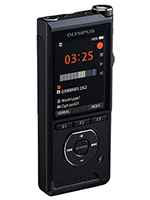 The Olympus DS-2600 is the latest offering for entry level dictation from Olympus. 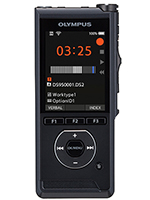 This new device maintains the core principles of the previous the DS-2500 - offering users a basic software package alongside a high quality recording device. However, the new DS-2600 now offers Slide Switch Control functionality for professional and intuitive operation. The DS-9500 is the new hero product in the Olympus product portfolio of mobile dictation devices for professionals who want to turn speech into text easy, anytime and anywhere.Thanks to its capability of sending dictations in an email via Wi-Fi and the support of audio codecs like PCM and MP3 it is very easy to get dictations sent to any dictation workflow software or speech recognition software. Hot-spot your mobile device or simply connect to your home WiFi to dictation directly from the device back to your administration team - it's never been easier! Professional Dictation made simple and stress free - a fast and easy switch to digital dictation. Capture your voice with enhanced clarity, simplicity and flexibility in any environment. Professional Dictation made simple and stress free - everything you need to start dictating professionally. Professional Dictation made simple and stress free - a fast and easy switch to digital dictation. Professional Dictation made simple and stress free - a fast and easy switch to digital dictation. Capture your voice with enhanced clarity, simplicity and flexibility in any environment. The Olympus DS-9500, DS-9000 and DS-2600 are compatible with BigHand Software. Looking for a replacement device or upgrade for an existing BigHand Dictation Workflow? Choose from the standalone/system edition kits (supplied without software).